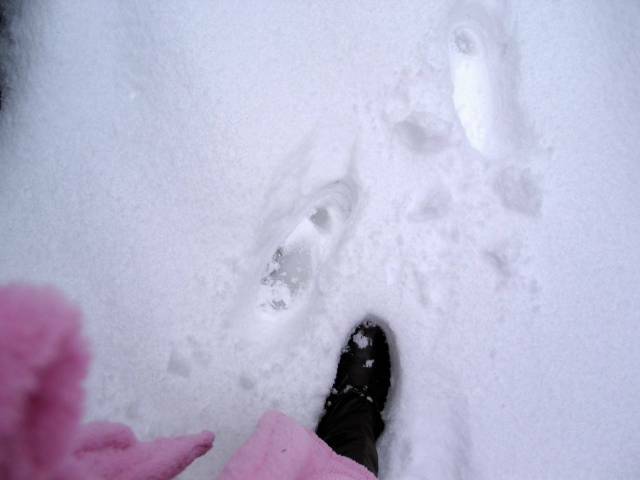 Me in my dressing-gown and old boots up to my ankles (and beyond!) in snow. Woot!